As the local food movement grows, more people are realizing how hard it is to find reliable local seafood. Even in coastal communities, like Fort Bragg, one is often buying fish that is imported from another state – or often from another country. When there is a ripe abundance of seafood in our nearby ocean, why is it so challenging to find locally-caught and locally -processed seafood? And what can be done about it by everyday consumers and seafood lovers? 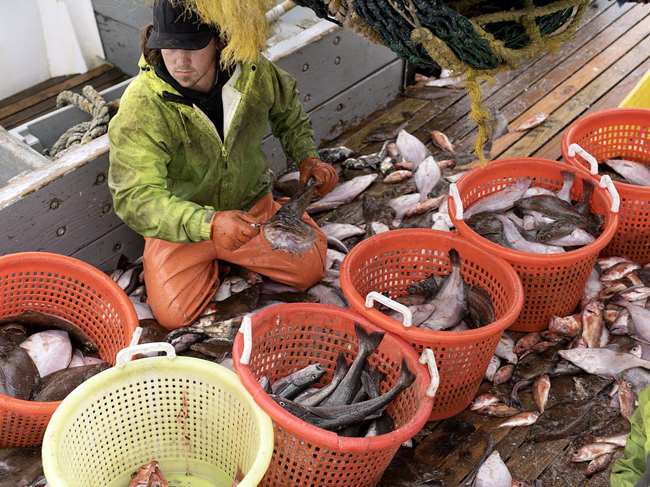 The truth is that seafood traceability is still a major obstacle in commercial fishing. If you are looking to choose local seafood at markets and restaurants, you need to be able to confirm where the fish came from. The only way to determine the true source of your seafood is if there is accurate traceability or a transparent supply chain. Seafood that is traceable can be tracked from boat to fork, meaning you can follow the whole chain, starting at catch and delivery, to processing and shipment all the way to final purchase. Ideally, whether at a market or in a restaurant, the customer can trace the fish back to a verifiable location and date where it was caught – sometimes all the way down to the name of the captain and boat. When buying seafood, these details are essential for making informed choices as a consumer to ensure you are confident about the sustainability and quality of your food. Unfortunately, the current reality in the seafood industry is that sourcing information and detailed labels are missing, limited, or even fully inaccurate. For example, a fillet may be sold under a generic term (i.e. labeled “white fish”) – or could simply state where it was sourced from (i.e. labeled “from Chile”) – or it could be more specific but inaccurate (i.e. labeled “Wild caught in Chile” when it is actually farm raised). There are also subtleties in labeling that consumers are not made aware of: for instance, some seafood sold in markets is caught in Canada (under Canadian fishery regulations) but landed and processed in the US and sold as American seafood. These kinds of practices, oversights and mistakes may happen knowingly or unknowingly – but in the mass market, the frequency of this makes shopping for sustainable seafood a challenge. In addition, most seafood passes through a few “hands” in the supply chain, even in small-scale commercial fishing, before it arrives on a plate. Each touch-point is an opportunity for these lapses in transparency and accuracy. It is essential to increase commitment and cooperation at all points. All those who work in the seafood industry must understand why it is “good business” to maintain accuracy and traceability. Organizations and businesses, like Trace and Trust, are working to create standards and systems that support this level of transparency and reliability in commercial fishing. The importing and exporting of seafood is a huge industry in the United States. The fact is that around 90% of the seafood that Americans eat is imported (source). Meanwhile, over 30% of the seafood caught by American fishermen is exported (source). Even those fish that stay in the United States may be sent to urban centers, before the catch is ever available in the regions where it’s caught. This unfortunate reality is driven by limited tastes, pressure from imports and farmed fish, and low valuation of seafood in American markets. Twenty years ago, we weren’t importing so much fish. Back then the demand was high enough to drive local industry and support local fishermen. In the United States, only a few fish have general popularity – tuna, salmon, bass, cod, rockfish, and the like. The general interest of these species has no particular connection to geography or season. In contrast, global markets, like those in Asia, have a taste for a broader range of species – and buyers are happy to pay full price for the catch. So, when American processors can choose between selling to a local market at a nominal price, or exporting to a foreign market at sometimes double the price or more, it is hard to settle for less than the full value of this hard-earned catch. A first step in supporting American fishermen is to learn what fish are being caught in local fishing ports. The species may not be as familiar as “tuna” – but it is likely to be all the more delicious – and equally sustainable, if not more in some cases. Many vendors are happy to provide suggestions and recipes for trying new fish. By supporting local fishermen and local markets, you may find the price higher than the weekly special on “white fish” at the seafood counter – but this is the best time to vote with the wallet in support of local sustainable seafood. The most important step to support sustainable fishing is to ask questions when selecting seafood at local restaurants and fish counters. There is no quick fix to finding local seafood or to resolving the complex issues that impact fish markets. But consumers can voice their expectations and ask key questions. By voting with their wallets, consumers can influence the future of seafood traceability. Consumer demand has a powerful impact on local markets, both from individuals or from a community as a whole. These impacts can directly affect the economics for fishermen and their port communities. To begin making a change, customers can simply ask the question: “Do you serve sustainable seafood?” This prompts a discussion at the seafood counter or the local restaurant — and the same questions may echo on to the managers or vendors. It is important to know that not all fish are harvested in equally sustainable ways. For instance, fishermen in other countries who fish rockfish are not held to the same rigors of accountability and sustainability as American fishermen catching the same species in US waters. Do you know where this seafood comes from – where it was caught and landed? Do you know if it’s farmed or wild-caught? If it’s wild, how was it caught – using what type of gear? The modern-day seafood market is shaped by these questions — and the changing response to them. The push of consumers is what may have the greatest impact on shifting the seafood market to be more environmentally and economically responsible. 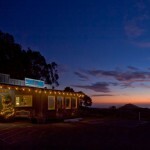 “If the business can’t answer these questions, we recommend you choose something else. You might also consider explaining that this information is important to you as a consumer. Your opinion matters to these businesses because you’re their bottom line,” says the Seafood Watch website. 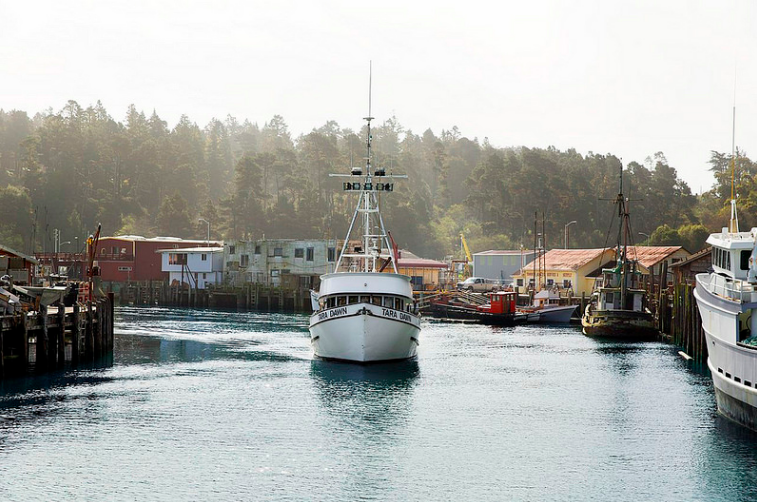 Fort Bragg Groundfish Association is always looking for new resources to point seafood lovers in the right direction, so they can support sustainable seafood and local fishermen. 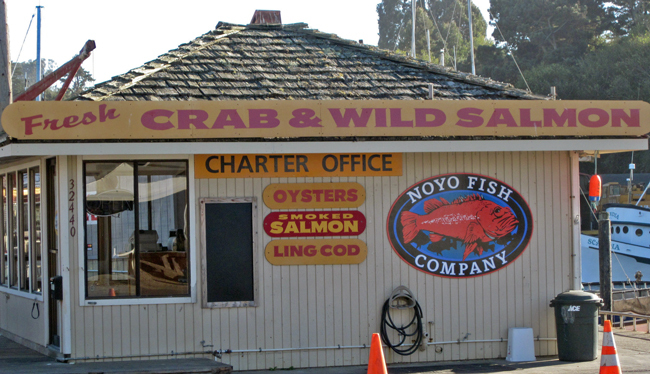 To get started, FBGA is launching a Local Seafood Guide to markets and restaurants on the Mendocino Coast that offer some locally-caught and locally-processed seafood options. 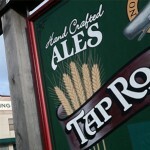 Many of these just beginning to source locally, some just on occasion — and just a few are sourcing all locally. It is still essential to ask questions. 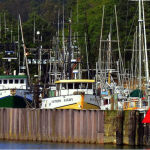 To learn more about local seafood resources on the Mendocino Coast, view the FBGA’s Local Seafood Guide – and if you have additional resources for local seafood, contact us.